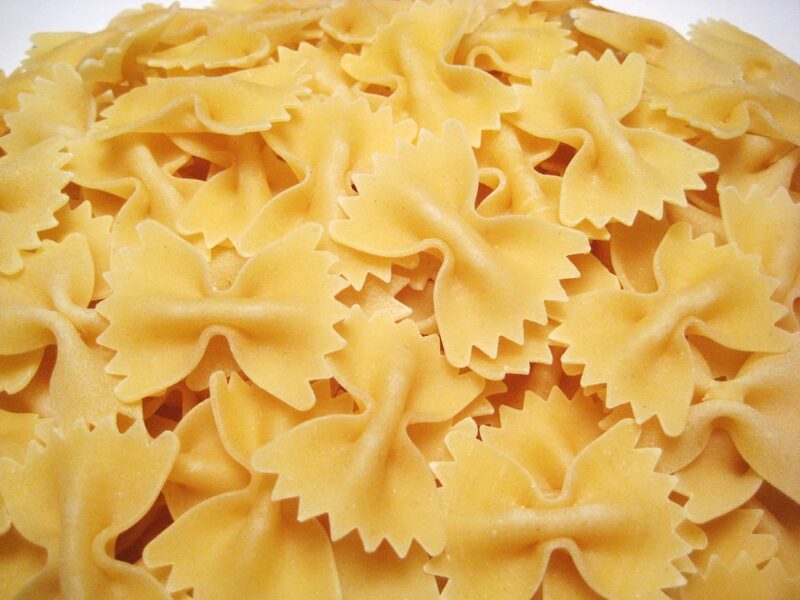 Farfalle is a type of pasta. Commonly known as “bow-tie pasta”, the name is derived from the Italian word farfalla. The “e” at the end of the word is the Italian feminine plural ending, making the meaning of the word “butterflies”. Farfalle date back to the 16th century. It originated in Lombardy and Emilia-Romagna in Northern Italy.